It pays to be meticulous when planning your wedding. After all, it’s your big day. But even though it’s your big day, you also need to make sure that other people – like your friends and family – are happy too. Whether you select a traditional bag, or opt for something different, such a basket or a box, you can personalize the contents to align with the overall vibe of your wedding. The only problem is that the options can be rather dizzying. So if you are wondering what to put in your wedding welcome bag, then you have reached the right place. Because in this article, we share with you a unique wedding welcome bag ideas. The wedding welcome bags will usually be the first thing your guests will see. As such, you want to get creative with the bag’s design. It goes without saying that the wedding guest bag needs to play up with your overall theme. Are you planning for a vintage-style affair? If so, then an antique box may be a good option. For a vineyard setting, a wicker basket will do just fine. And if you are planning for a garden wedding, then a galvanized pail may be a good option. In addition to playing up your overall theme, choose a bag that can be versatile. That is, one that your guests can reuse after your big day. 2. Provide an information map. Weddings are never one day affairs. Essentially, the information map gives an outline of everything your guests need to know. Starting with the event itself as well as locations and things to do. Including a guidebook in each wedding gift bag will make it easy for guests to get around town. In addition, you can personalize the bag by including your recommended list of favorite spots. This may include hangout areas, parks, coffee shops, boutiques, and restaurants. Add things that you love or speak to the two of you as a couple. Perhaps it’s a mix of your favorite beats, or a book of crossword puzzles. You can also accompany these items with a little context. For instance, Daisy is infamous for always carrying a stash of sweets in her purse, or Jack used to do the crossword puzzle every weekend with his granddad. 4. Include some weatherproofing essentials. Bad weather can seem like the end of the world. But with a plan in place, it can still be the day of your dreams. So what you want to do is take some cues from the season and prepare accordingly. If the weather is cold, have blankets and shawls ready. If it’s forecasted to be a rainy day, make sure to provide umbrellas for your guests. And, if it’s hot, ensure you have bottled water available. 5. Provide something to sip. Throw in a drink or two. Including this is the wedding bags for hotel guests will help keep them from raiding the local mini-bar. It also helps improve your guest’s overall experience. Personalize the drinks to show off your monogram, motif or wedding colors. You also want to provide something that speaks directly to your wedding theme. To achieve this, you can swap out the water bottle label with your own. For ranch nuptials, try including locally brewed beer. For a vineyard soiree, try miniature bottles of wine. And, for a tropical destination wedding, you can try coconut water. 6. Provide a special hangover kit. If there is one thing that you should put in your gift bags for wedding guests, it’s a hangover kit. Help your guests combat any ailment the following morning by providing them a special things like Emergen-C, Alka-Seltzer, Advil and water. You also want to add in things like stain removers, safety pins and Band-Aids, as a bad hangover may not be the only “emergency” your guests may encounter. 7. Remember to thank your guests. Your welcome bag is just one additional chance to appreciate the people who made your day special. Add a thoughtful note to welcome them and tell them how much you appreciate them for being part of your big day. Make it extra special by handwriting it. But if you are short on time, then make sure to sign each one in ink. Also, make sure the paper upon which the note is written speaks to your wedding theme. For a vintage-style affair, an aged parchment paper may be good option. If it’s a destination wedding, then a postcard can be a fun option. 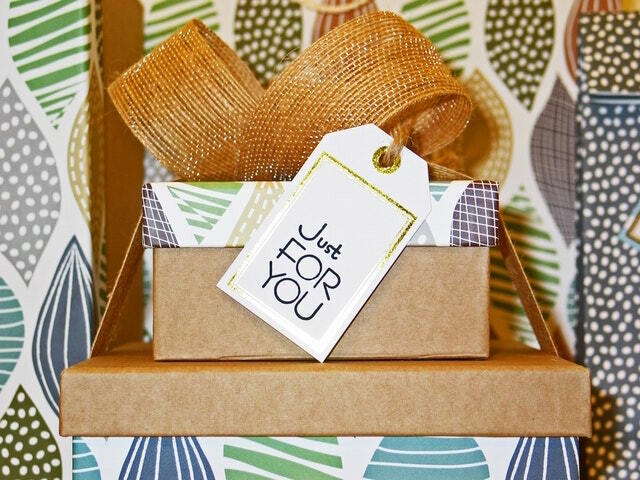 These are just a few of the many things you can do to make the thank you bags for your wedding guests extra special. Remember, it’s your wedding and everything should count.